Thought i'd fight the christmas shopping crowds, just for fun. No real christmas shopping to do, but i might get a few things for myself. 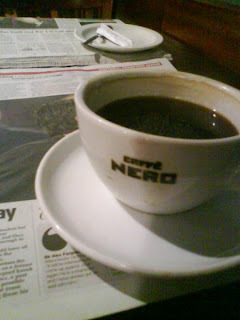 Traditional start to shopping, caffe nero.